Richard Collett recently came back to us, after we installed some grain store buildings for him back in 2014. This time, we were commissioned to design and build a 1000 tonne grain store building. 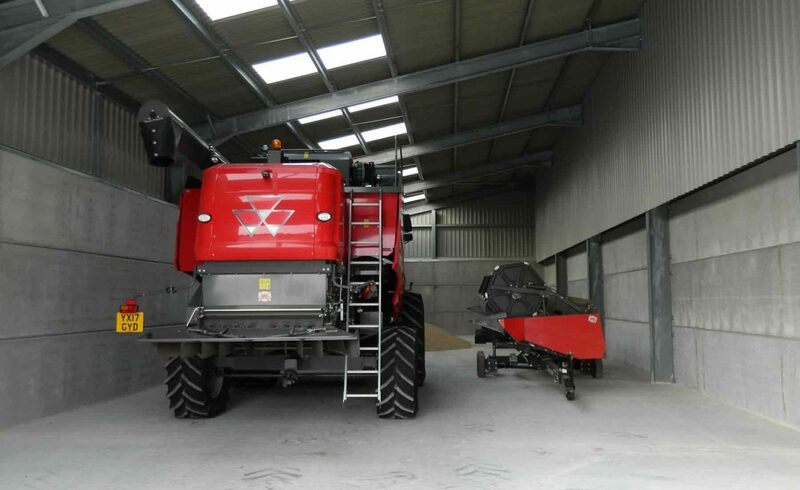 All of his grain stores needed to be complete with an integrated crop drying solution. This hard wood drying floor also needed to include a lean-to either side, for additional grain or machinery storage. The team at Timmins got to work straight away with the new grain store building – the first step was contacting the local planning office. As well as our full in-house turnkey solutions, we also provide a full building consultancy service, with the inclusion of the planning application process. 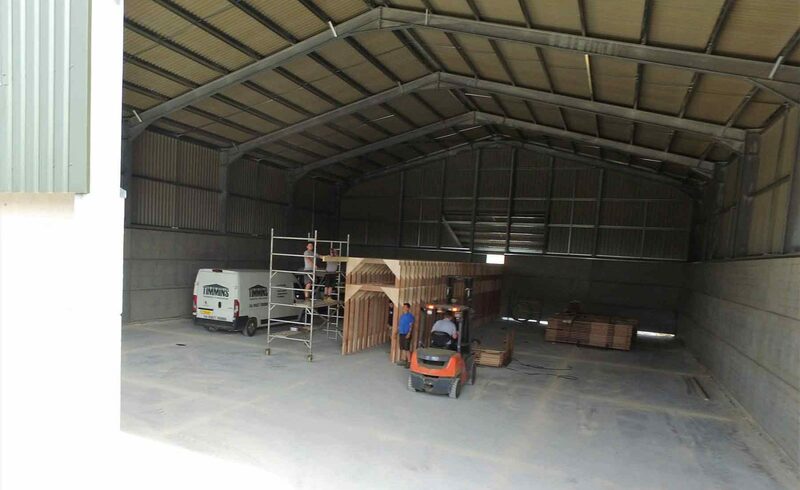 Then, we got cracking with design and manufacture of this agricultural building. 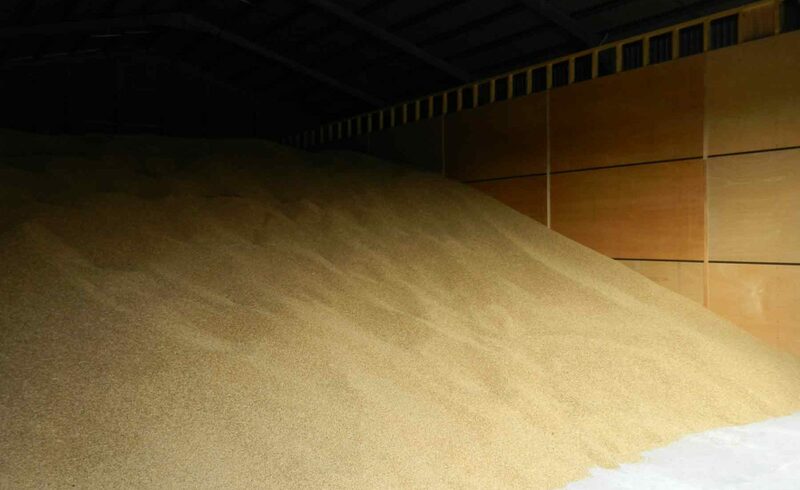 Building the grain stores was no small task – it needed to not only have a multi-purpose use for storing 1000 tonne of grain, but also needed to be a crop drying solution too. 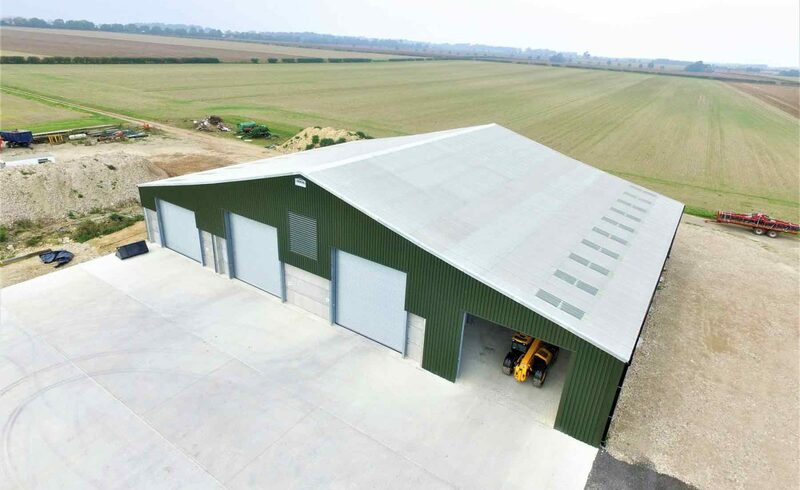 With an additional 10m lean-to for machinery storage, this grain store building had to be a cost-effective and long-term solution for Richard. As with all of our projects, we manufactured and fabricated the steel components in-house, to BS EN 1090-2:2009 regulations. Giving us complete control over the quality of the components and keeping costs down for the client. Ed and his team at Timmins did an excellent job for us from planning to completion. The building was delivered on time despite the usual delays from the local planning office. I wouldn’t hesitate in recommending them.